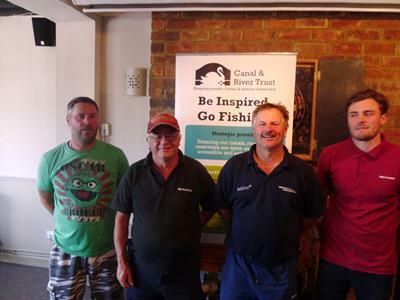 The sixth Angling Trust & Canal & River Trust Stillwater Championship qualifier for 2015 took place at Boddington Reservoir on Wednesday 15th July. A nice ripple on the water, with overcast and warm conditions greeted the competitors. Richard Bedder, with 63.74 kilo from peg 95, made full use of his sponsors, Marukyu baits and additives, to land 19 carp all on method feeder at 65 turns except one on waggler. 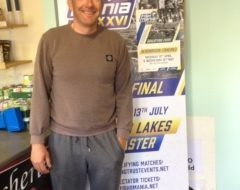 Congratulations to Richard for by far the top weight of the day and qualifying for the final at Blythe Waters in October. Most of the 36 competitors found that the fish would not settle and a constant change of tactics was required to keep in touch and keep them feeding. The dam wall was not fishing at its best with no really big weights, but some bigger fish. 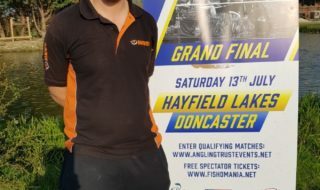 1st Richard Bedder (Marukyu) 63.74 kilo section D peg 95 qualifier. 2nd Phil Copley, 55.42 kilo, section C peg 89 qualifier. 4th Anthony Brocker, 44 kilo section D peg 97. David Perry, 28.36 Kilo Section B peg 67. The next AT & CRT Stillwater Championship takes place at Earlswood Lakes on Saturday 25th July.